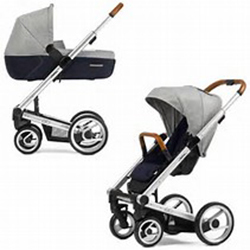 The Nio can be used with the carry cot, reversible stroller seat, various car seats and numerous handy accessories. The backrest and leg support on the Nio seat can be fully adjusted to multiple positions, including an ergonomic sleeping position. Add to that the robust wheels with extra tread and suspension and no road needs to remain undiscovered! Sleek designs and versatility, that is the essence of the new Igo. 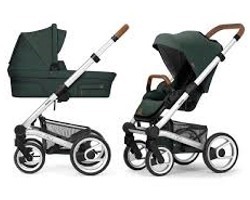 The Mutsy Igo has a fully adjustable seat and can be folded up very compact. Ideal for everyday use!